Duncan's Canvas supplies and fits top quality swimming pool covers and sandpit covers. 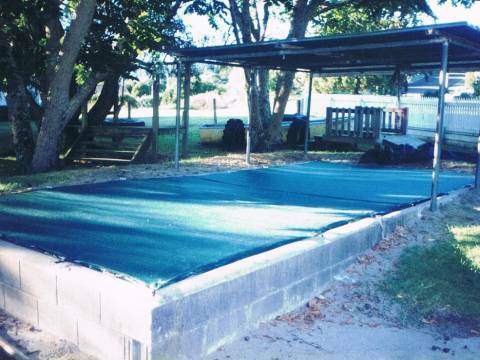 Our sandpit covers are made from a mesh which allows water to drain through avoiding any dangerous ponding on top of your cover. The mesh, available in dark blue or dark green, also allows the sunlight and air through to keep your sand fresh and clean. 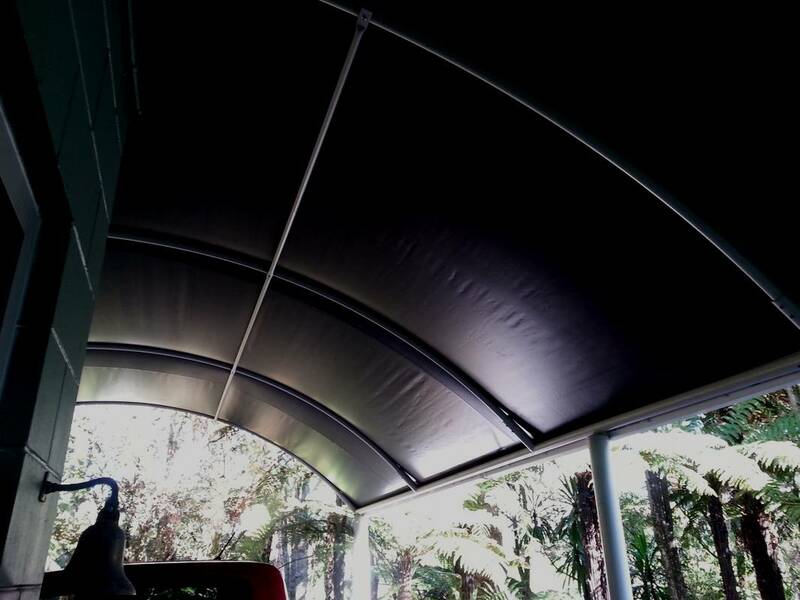 Our covers can be attached using shock cord and hooks, or by fixing one edge with an awning track. 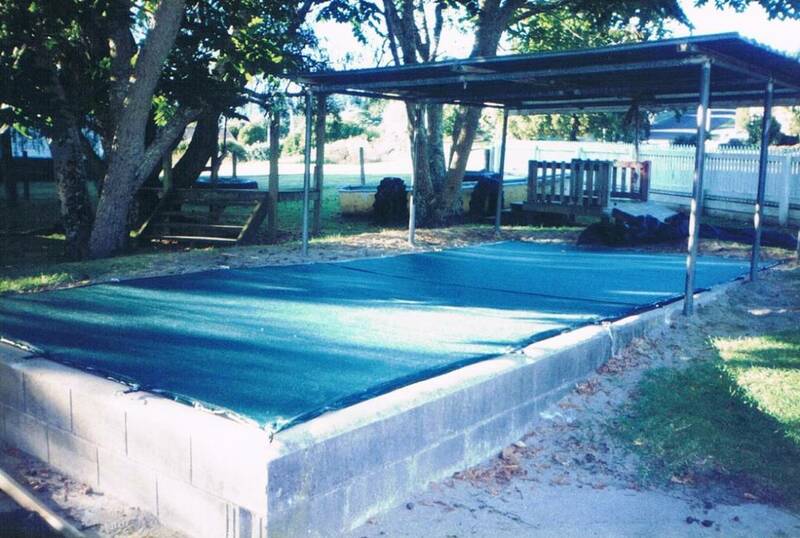 We can also make your sandpit animal-proof. 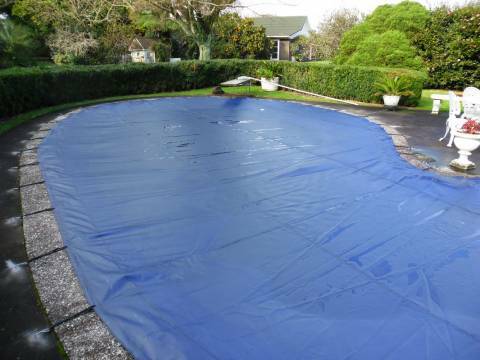 Swimming pool covers are available in mesh (as well as PVC fabrics), and will keep your pool sparkling clean. 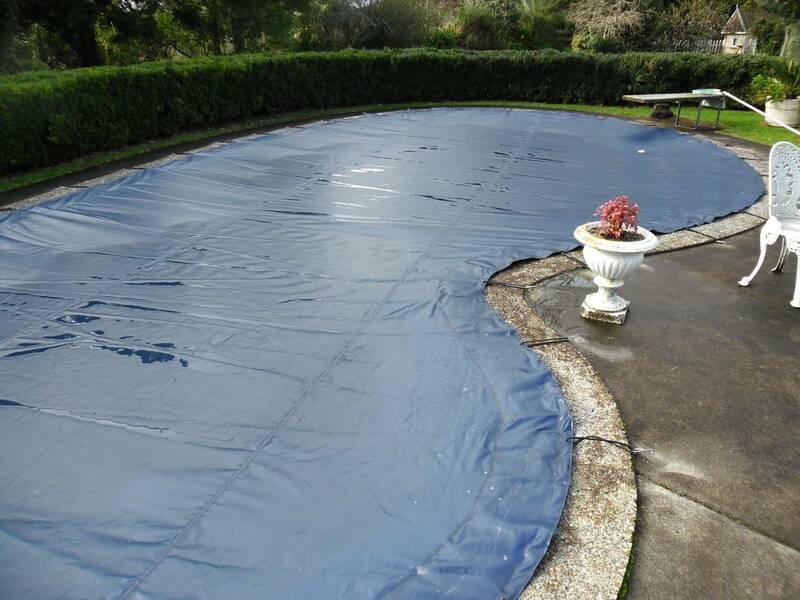 Swimming pool covers that are made from a "bubble" fabric raise the water temperature up to 7 degrees celsius and extend your swimming season. Rollers are also available for these.